A new Japanese government report has revealed around 40 per cent of Japan’s self-defense force have visualized Minister of Defense Tomomi Inada in some sort of cosplay outfit. When questioned about their recent experiences as a soldier, “cosplay” was a key word frequently mentioned in responses. The study found that the titillating mini-skirt uniform from the famous sailor moon comic book series was a favorite amongst the soldiers. 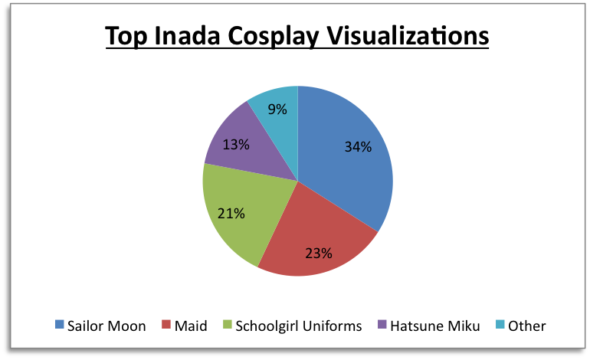 Other top responses included a maid’s dress, Hatsune Miku, and a variety of school uniforms. “If you compare all the outfits I’ve imagined Defense Minister Inada wearing I think the sailor moon series uniform is a clear winner,” said one soldier. Some have raised concerns over the increase in incidents of cosplay fantasies since Inada assumed the position of Defense Minister but high-ranking officers say it has increased levels of concentration at large gatherings and a commitment to the cause.